William S. Eidelman, M.D., coined the term “Addiction Antidote” after watching a treatment device repeatedly and reliably dissolve cravings for cigarettes in patient after patient, up to 2000 smokers. Physical cravings for cigarettes dissolved 98% of the time, usually in two minutes. We’ve come across an amazing addiction treatment, and we want to help you, without judging you, without criticizing you. We just offer you the addiction antidote, and your desire to quit does the rest. For cigarettes, this is a two step program, decide to quit, and apply our treatment. For the more psychoactive addictive drugs such as alcohol, methamphetamine, heroin, and cocaine, additional steps of the latest developments in nutritional supplements and intravenous nutrient therapies are an important part of the program. Psychological help is no doubt useful if not necessary for most serious addicts. 12-Step type programs are based on the idea that you can’t control your cravings. In most cases, our Addiction Antidote dissolves the physical cravings. We are not anti-drug, per se. We don’t believe in the War on Drugs, which is really a War-on-Citizens-Who-Use-Unapproved-Drugs. We believe addiction is a bad habit, a disease (for which we have a great treatment), but we believe addiction is not a crime. We are pro-you. 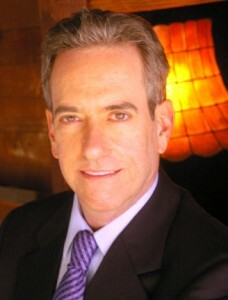 Dr. Eidelman has an office in Hollywood, CA, where he offers this treatment, along with other natural therapies.